A recording of House Speaker Paul Ryan's October rebuke of Donald Trump was published on Monday night. The audio captures Ryan at one of the most challenging times of the 2016 presidential campaign — three days after leaked footage from 2005 showed Trump boasting of displaying sexually aggressive behavior toward women. 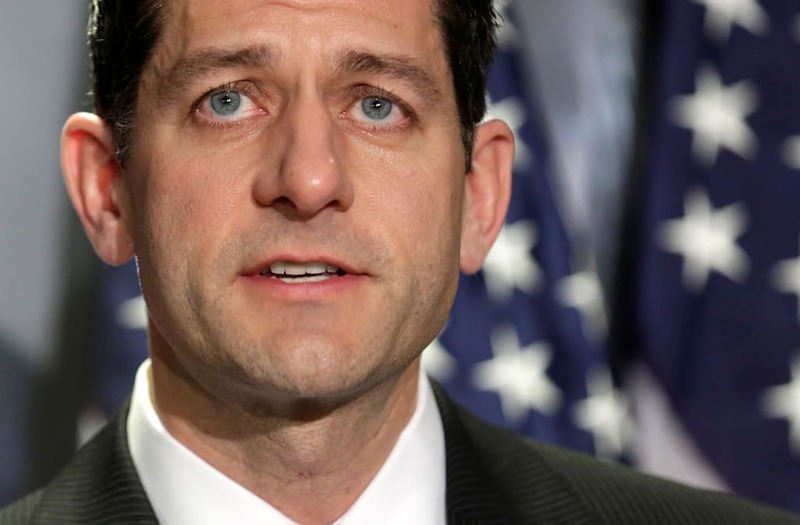 In the October recording posted by Breitbart on Monday, Ryan is heard saying, "I am not going to defend Donald Trump — not now, not in the future." Business Insider covered Ryan's remarks at the time, but this is the first time audio of the House speaker's words were made public. Breitbart said it was unclear exactly how many House Republicans participated in the October call, who made the recording, or whether those who were involved had knowledge it was being recorded. Ryan at the time seemed resigned to the possibility that Hillary Clinton might win the election as the fallout from the Access Hollywood tape spread far and wide. At one point, Ryan said he would spend his "entire energy" making sure a potential President Hillary Clinton would not get a "blank check" with congressional majorities.